UI Associate Board Member Holton Faust recaps all the fun from the 7th Annual Multicultural Cup at Haas Park! UI would like to thank all of the #UIAB volunteers for coming out and having fun with the kids. Big thank you also goes out to Joe Henry and the entire Haas Park team for hosting this one-of-a-kind event year after year. It’s a great sight to see so many communities and cultures coming together at Haas Park! Sports and play is embraced throughout the world, which helps bring together local communities, cities, and cultures. Here at Urban Initiatives, we embrace that same commonality. 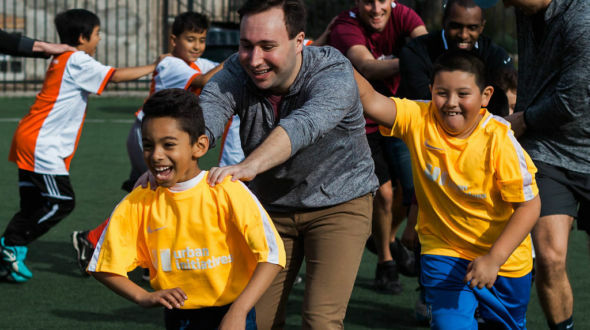 We have enormous pride in providing young students here in Chicago the opportunity to come together weekly to play soccer and meet with other kids from different neighborhoods, schools and most importantly a variety of cultures. As an Associate Board volunteer, I take great pride in our mission, which provides opportunities for students here in Chicago to not only be active, but also sets them up for a strong and bright future as mature, well-rounded students. 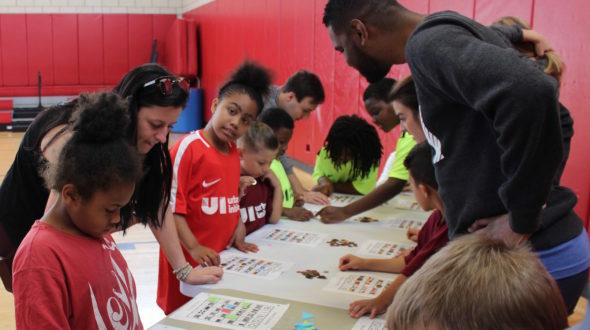 Every year, Urban Initiatives organizes the Multicultural Cup with the purpose of bringing together young students from across the city not only to play soccer, but also to participate in new activities that expand their cultural horizons. 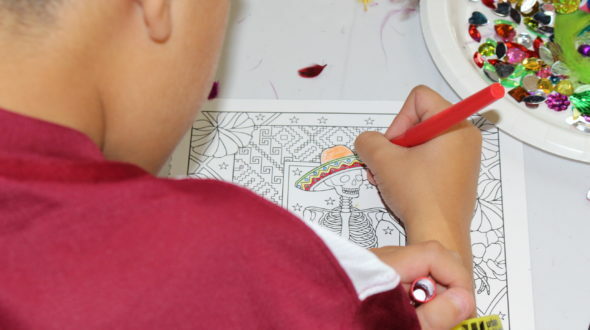 In the multicultural society that’s expanding year after year, especially here in the United States, it’s important for the kids to expand their knowledge and understanding of other cultures that they interact with daily. 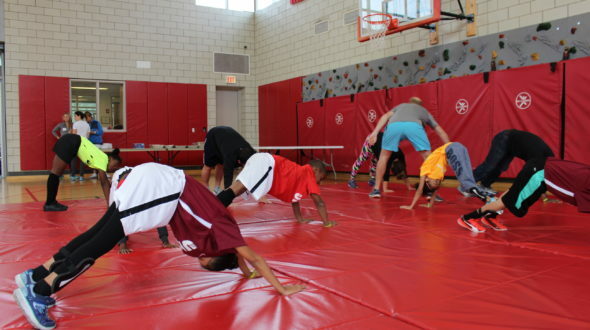 This year at the 7th Annual Multicultural Cup, we provided fun activities which included Spanish yoga, a break dancing session, BINGO involving the flags of countries worldwide, and an art session with the Dia de los Muertos theme. Personally, I found the Spanish Yoga to be a unique and fun activity, where each student picked a card out of a hat containing a yoga move in Spanish, along with the translation. It was fun seeing everyone try to do the yoga technique to the best their abilities while getting in a few laughs. Of course, a few games of soccer were played, to make the day of fun complete. Overall, it was a great day full of activities which everyone enjoyed and learned from. It was great to see everyone involved – from the volunteers and family members present to contribute to a successful day. I feel this event will pay dividends in the short and long term for the students, as it allows them not only to bond and celebrate what makes them different, but to also have an appreciation and understanding of the different types of cultures and individuals who live in our communities and world. At the end of the day, everyone wins! Hope to see you at the 8th Annual Multicultural Cup next Fall!